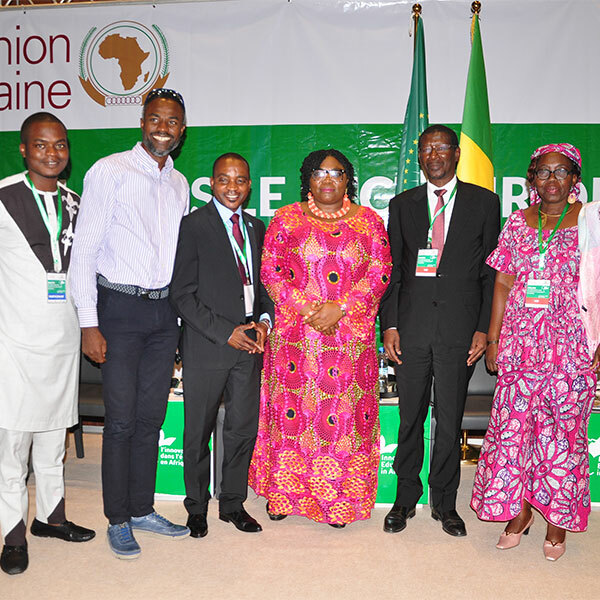 Dr Paschal Anosike was invited to be a keynote speaker at the Innovating Education in Africa Expo in Dakar, Senegal. The event aimed to showcase practical social and technological innovations aimed at enhancing access, quality, relevance and inclusion in education in Africa. Dr Anosike, who is the Director of the Centre for African Entrepreneurship and Leadership (CAEL), was invited to talk about how his research can benefit key stakeholders and encourage education innovation in Africa through the development of a harmonised entrepreneurship education framework, and the establishment of Africa Education Innovators Network (AEIN) - a policy think-tank to work with the African Union Commission to implement Africa’s Continental Education Strategy (CESA 16-25). He said: “I was delighted to have been invited to make a keynote contribution to this pioneering event. It is recognition of the significant impact of CAEL’s knowledge transfer work in Africa and indeed the University, especially supporting higher education institutions to develop the entrepreneurship education knowledge ecosystems vital to sustainability of Africa’s socio-economic health. The event from 4-6 October 2018 was themed ‘Meeting Continental Targets for Inclusive, Quality and Transformative Education and Training in the 21st Century’. Organised by the African Union Commission in partnership with the Government of the Republic of Senegal, the event brought together key education stakeholders in Africa including education innovators, private sector, NGOs, education practitioners, funders, researchers, students, policy makers and education ministries from all AUC members States.